Alaska Food, Wine & Travel originally began as Alaska Food & Wine, a site for insider information about Alaska cuisine, restaurant reviews, chef news, recipes, and other tips. Since that time, extensive work-related travel has kept us on the road – and up in the air – much of the time. In upcoming weeks we’ll be revamping the site to include travel tips, destination information, and reviews of hotels and restaurants from a wide range of destinations. Please join us for what promises to be a wild ride! Lately it seems to be a rare event for me to eat out while I’m in my home city of Anchorage. These days, most of my dining seems to be done on planes or at mediocre airport hotels due to work and leisure travel that’s consumed me over the past two years. There will be more on the topic of travel to come in future posts, but for now let us focus on food. 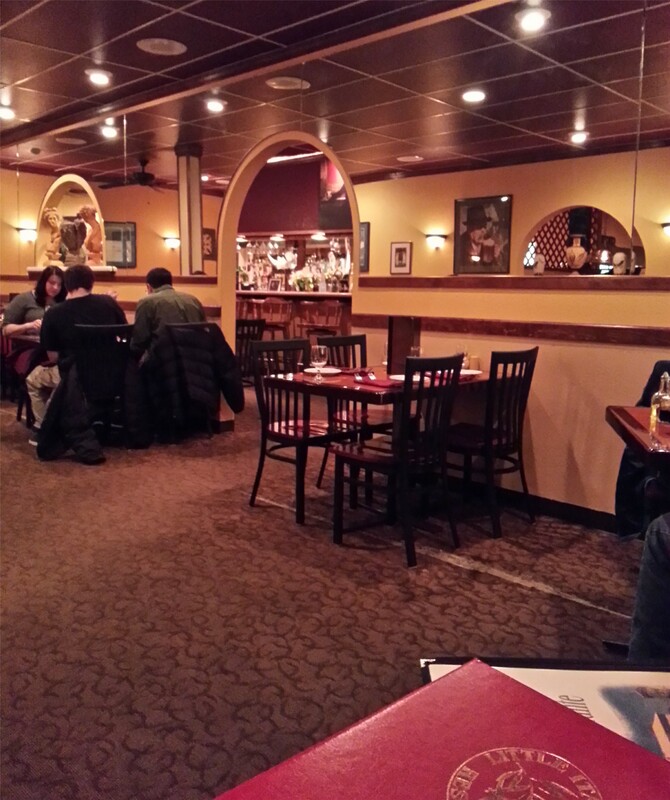 Recently a friend and I had a wonderful dinner at Maxine’s Fireweed Bistro. We ended up sharing all of the dishes – with minimal bickering, I should point out – at least minimal bickering in regard to the food. 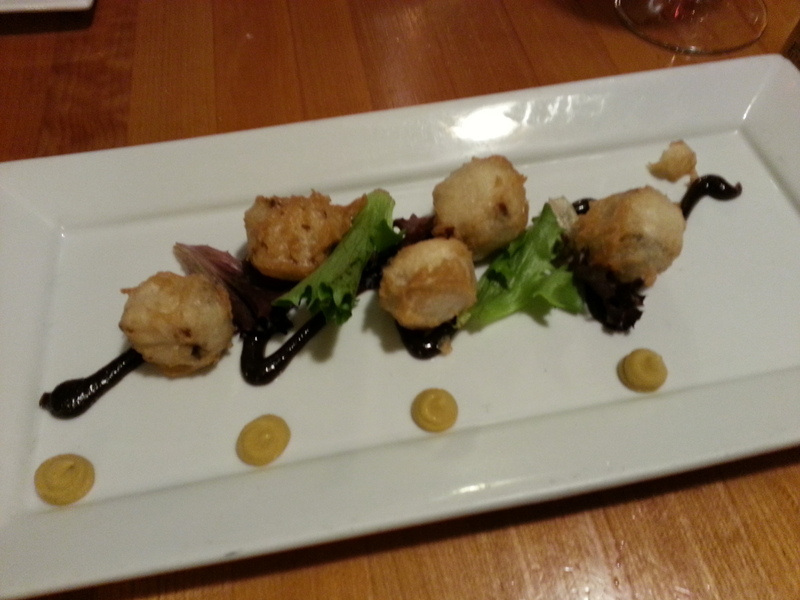 Our starter was tempura pork belly that was light and crunchy outside while bursting with juicy pork inside – all without a hint of grease. There’s definitely something to be said for the warmth of a cozy, family-owned neighborhood restaurant. A place where you can find hearty portions of soulful comfort food, prepared with care by the owner and served by an attentive staff. Here in Anchorage, Little Italy Restaurante has been filling that role by crafting traditional – and a few non-traditional – Greek and Italian dishes for 30 years. In a town like Anchorage, where restaurants breeze in and out like the blustery Chinook winds, family-owned Little Italy’s longevity speaks volumes about camaraderie and customer loyalty. Guests appreciate the care owner Spiros Gialopsos and his staff put into the ample plates of food – and also the attentiveness of the staff under the guidance of P.J. in the front of the house. 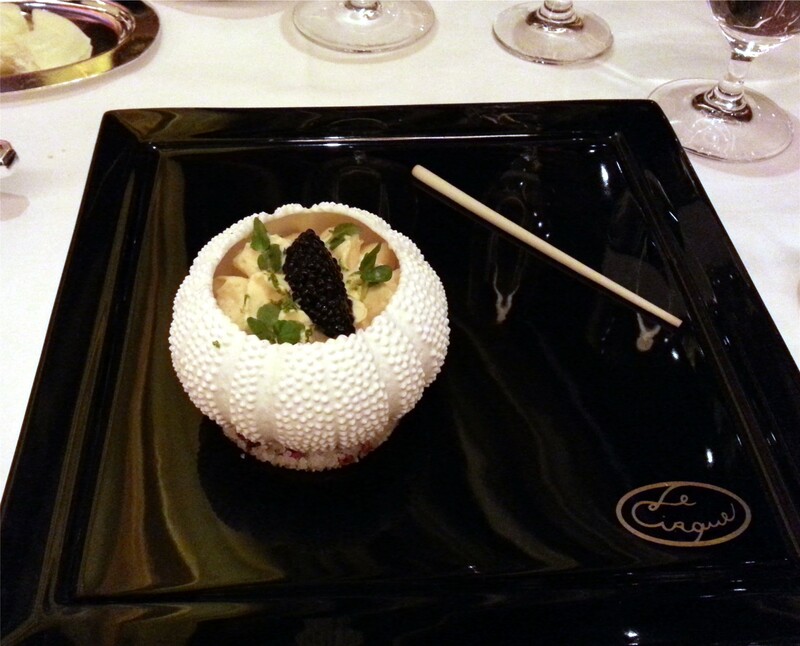 I had the opportunity to dine at Le Cirque during a recent trip to Las Vegas. This New York City fine dining outpost is located in the lovely 5-star Bellagio Hotel and Resort, and is one of the cornerstones of the hotel’s dining experiences. My expectations for the restaurant were quite high, but both the floor staff and kitchen fully delivered with an amazing meal and a very memorable evening. My recommendation is to definitely go with the Le Cirque dégustation menu rather than ordering a la carte, and certainly do opt for the lovely wine pairings. You will not be disappointed. Unlike some tasting menus, you will have an element of control in the selection of your dishes while still experiencing the full range of what the chef and his staff can create. The exemplary service from the wait staff and sommelier at Le Cirque is professional and attentive without feeling at all intrusive. Although I ordered the snow crab as my starter, I was surprised when the waiter brought a lovely amuse bouche of uni with lemon grass gelée and a fennel puree. It was sublime, as was my actual starter of snow crab with turnip, apple, avocado and pomegranate. We were invited to watch six stellar Alaska chefs compete in the Alaska Seafood Marketing Institute’s First Annual Great Alaska Seafood Cook Off held last evening. It was a fierce battle held amidst hoards of raucous seafood fans anxious to learn who will represent Alaska at the Great American Seafood Cook Off to be held in New Orleans in August. Contenders for the coveted title included: chef Aaron Apling-Gilman (Seven Glaciers Restaurant); chef Kristi Skaflestad (Chipper Fish Restaurant, Hoonah); chef Christopher Vane (Crush Wine Bistro); chef Mary Helms (JBER); chef Gil Turturici (The Chart Room, Kodiak); and chef Kevin Lane (Alaska Culinary Academy, Seward). If you’ve ever watched culinary competitions you know that typically the chefs are given a secret ingredient. This cook off had a different twist — contenders had to provide all of their own Alaskan seafood products and the ingredients required to create their recipe. There was no pantry to raid, no advance cooking allowed, and no prepped items could be used other than pre-washed greens or peeled vegetables. 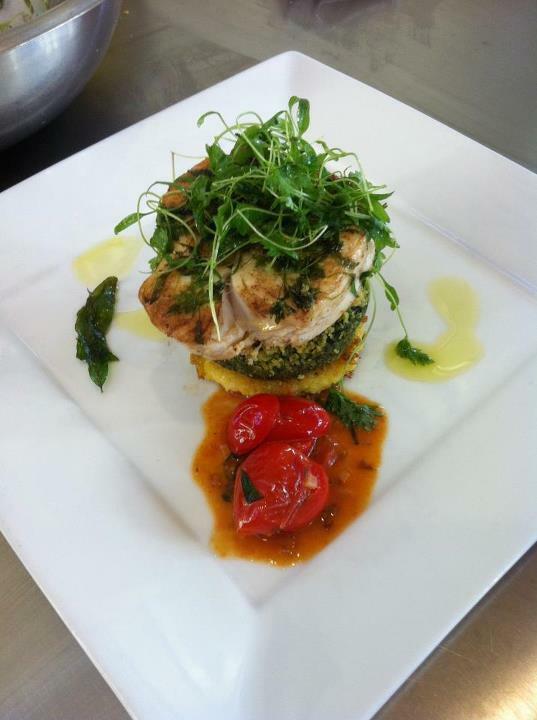 One hour was allotted for the chefs prepare, plate, and serve their signature entree to the panel of judges. ORSO Restaurant has weekly specials based on the owner’s philosophy, “a great bottle of wine doesn’t need to cost more than a dinner.” Each week they offer one case of wine at an incredible value that won’t break the bank. But like any great promotion, there’s a catch: There’s only one case – 12 bottles – and it’s first come, first served. This week’s the Case of the Week takes you to Tuscany, quite fitting given ORSO’s culinary influences from the region. The Sangiovese notes are dominated by violets and ripe cherries which are well integrated with the spicy scents of vanilla and, lightly, of cloves. On the finish the fruity sensations become riper and reveal elegantly toasted sentors of plum jam. Tasting profile: Very smooth, yet fresh and lively. The mature tannins are sustained by the harmonious fruity structure, where alcohol and acidity reach an ideal balance. The long aftertaste leaves notes of mature cherries. 75% Sangiovese and 25% other red varieties admitted by Chianti Superiore code production (Cabernet Sauvignon, Merlot and Canaiolo). Please visit ORSO soon to claim your wine special! Visitors to Anchorage often ask us to provide restaurant recommendations, so we’ve compiled a list of our top choices for local dining. While browsing the list you should keep in mind that it reflects some of our personal favorites and it is not intended to be an exhaustive compilation of eateries in the area. Our emphasis here is mainly on restaurants that serve dinner and have a nice wine selection. Side Note for Travelers: Don’t be put off by a restaurant’s location. Some of Anchorage’s best eateries are tucked away in little strip malls around the city. It’s a quaint Alaskan custom. Get used to it. You’ll find the link for our Anchorage restaurant list on the tab at the top of this page, marked “Anchorage Dining.” We’re having (what we hope are) temporary technical difficulties with the WordPress site, as it currently isn’t accepting active links within this post. Did we miss one of your favorite Anchorage spots? Please use the comment section below to let us know the name of the restaurant and why you think it should be listed.